Agencies making advergames for client campaigns usually base their games on existing, well proven game mechanics instead of inventing new genres. My ‘Falling Objects Game’, is an example of the kind of game template agencies buy and customize for their specific purposes. 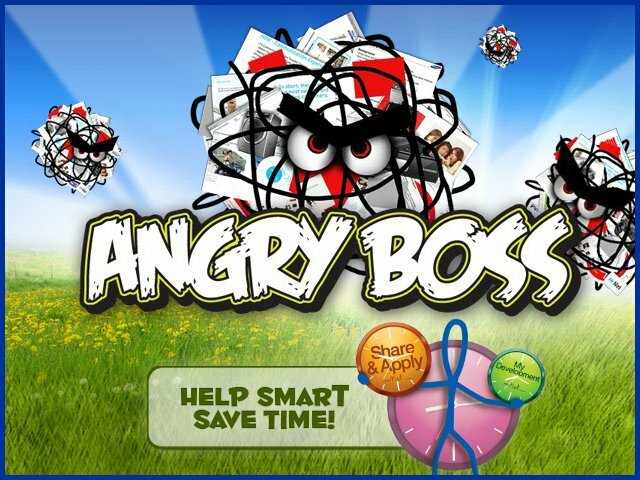 For example, this was customized into an ‘Angry Boss’ campaign game with new graphics, and an animated intro, for an internal Samsung campaign. Splash screen from the template-based game.